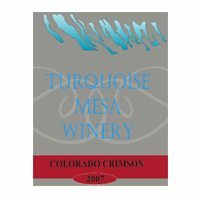 Turquoise Mesa Winery offers a variety of white and red wines made from Colorado grapes by a Colorado native. We offer wines which include Cabernet Sauvignon, Syrah, Mourvedre, Riesling, white and red blends. Our winery/tasting room is located in Broomfield. Come visit!Turquoise Mesa Winery offers a variety of white and red wines made from Colorado grapes by a Colorado native. We offer a nice variety of reds, whites and blends. Our winery/tasting room is located in Broomfield. Come visit! Hwy. 36 to Church Ranch, east to Westminster blvd, left to 116th, left to Teller ST, right on teller, on the left just past auto emissions. Thursday,Friday,Saturday 1-6, any other day by appointment.